Rough Guides, Brisbane has been ranked more beautiful than cities such as Kyoto, Seville, Rio de Janeiro and Sydney. The poll, which took its votes from Facebook and Twitter, ranked Brisbane the 8th most beautiful city in the world, with Sydney following at number thirteen. The site described Brisbane’s position as “surprising”, attributing the result to it’s “lush green spaces and the enormous Brisbane River that snakes its way through the center before emptying itself into the azure Moreton Bay”. Brisbane Marketing detailed the city’s aesthetic appeal was thanks to a combination of beautiful parks and public spaces, tree-lined streets, public art works and a wonderful mix of heritage and modern architecture. Cox Rayner Architects, welcomed Australia’s first Green Star- Communities rating. With the reshaping of Brisbane’s West End and North Side areas with million dollar mixed-use development plans, Brisbane is currently in the midst of an exciting transformation. Courier Mail, exposure from the G20 and the Brisbane International Tennis Tournament has helped transform the city’s image from a working class battler to a tourism darling. QLD Tourism Industry Council CEO believes that Brisbane deserved its place among the world’s blockbuster tourism destinations. “These big events help to put us in the minds of people when they do a survey like that…Southbank is an outstanding piece of infrastructure and the vista across the river to the city is world-class… I think we can all be very proud of how the city has evolved,” Mr Gschwind said. Lord Mayor of Brisbane Graham Quirk has also been quick to support Brisbane’s position in the ranking“The Kangaroo Point Cliffs overlooking the city, Southbank Parklands, City Botanic Gardens, Mount Coot-tha lookout, Wilson Outlook Reserve in new Farm overlooking the Storey Bridge and the city and the Eagle Street Pier are just some of the many beautiful spots in Brisbane,” Lord Mayor Quirk said. Brisbane has been topped by two Italian cities, Rome coming in first followed by Florence, while Paris was voted in as the third most beautiful city. 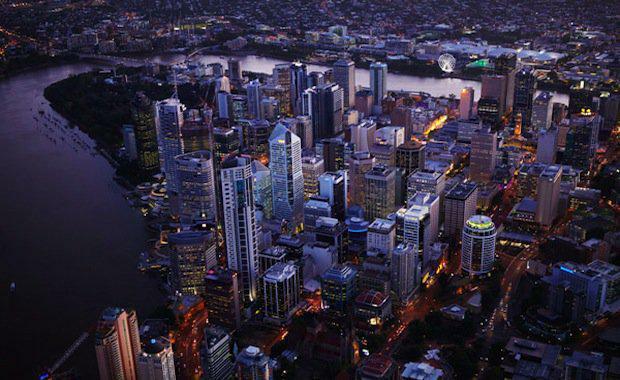 Edinburgh, London, Prague and Venice were the only other cities that beat Brisbane.